Citadel Wine Storage is the region’s premier, and only fully-dedicated wine storage facility. 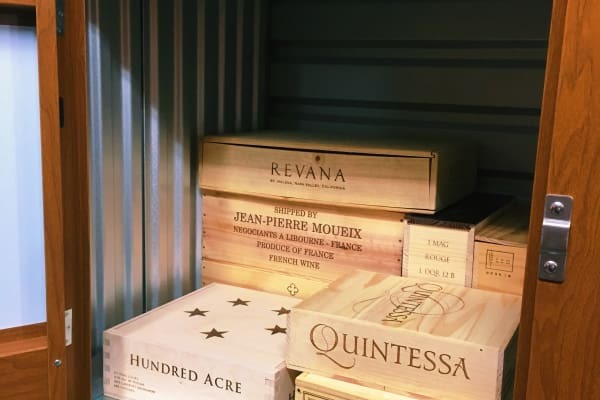 We have built our wine storage as if we were storing our personal collection, and want to ensure that our clients feel their collection is safe and in good hands when they store with us. Whether you are rebuilding an existing cellar, or want to use our facility as your personal cellar, we have a wine storage solution for you. We developed our room alongside a prominent Master Sommelier in the region to ensure that it was built to the highest specifications. There are 6 different unit sizes available with case capacities ranging from 12 standard 12-bottle cases in our smallest unit all the way up to 90 cases in our larger units. The room is maintained at a constant 55° Fahrenheit and between 55-60% relative humidity, which is the ideal environment for long term wine storage. Our fully dedicated and redundant wine room cooling system is comprised of 2 professional grade refrigeration units, which are each individually capable of maintaining the ideal environment in the case that one of them malfunctions. In addition to the sensors that the cooling systems have, our staff monitors the room’s environment daily via a digital hygrometer that takes a reading of the room’s temperature and humidity level every 30 minutes. We have also installed a natural gas generator for the coolers to ensure that our clients’ wine would not be susceptible to any climate changes in the case of a power outage. The room’s lighting is motion activated and has been strategically placed so that when the lights are on, they do not cast any direct light on bottles stored in units. Security is one of the most important factors in our clients’ minds when it comes to storing their collections, which is why we have designed a storage room with layers of security measures. When a wine unit is leased the customer chooses a 4-10 digit PIN code, which they enter at the drive in gate to access the property. Entering the PIN code at the gate disengages the individual unit alarm on their wine unit. They also have to enter their PIN code to unlock the vestibule door to enter into the wine storage room, where their collection is stored behind a specialized metal barrel locked door. When the client has dropped off or retrieved what they need, they must input their PIN code at the gate once more to exit the property, which also reengages their individual unit alarm. Additionally, we have over 60 high definition, FLIR enabled security cameras at each of our properties, including in each wine room. We understand that our clients have busy schedules, and aren't always available to come to the facility to accept the ir wine shipment, so allow us to do it for you! Ask one of our Citadel staff members for more details about our wine delivery acceptance program!